My husband and I were best friends for years before we started dating. We both weren’t ready for a serious relationship. After one bad relationship I had, we made a deal; no dating for a whole year… a couple of months later we were together. Best deal I ever made. We dated for 2 years before he finally popped the question. I am a huge fan of Christmas and traveling. So he took me to New York for Christmas 2016. We went to a fancy jazz cabaret on the 24th. After the show, we walked to the Rockefeller Center to see the Christmas tree at midnight. That’s when he asked me. It was perfect. 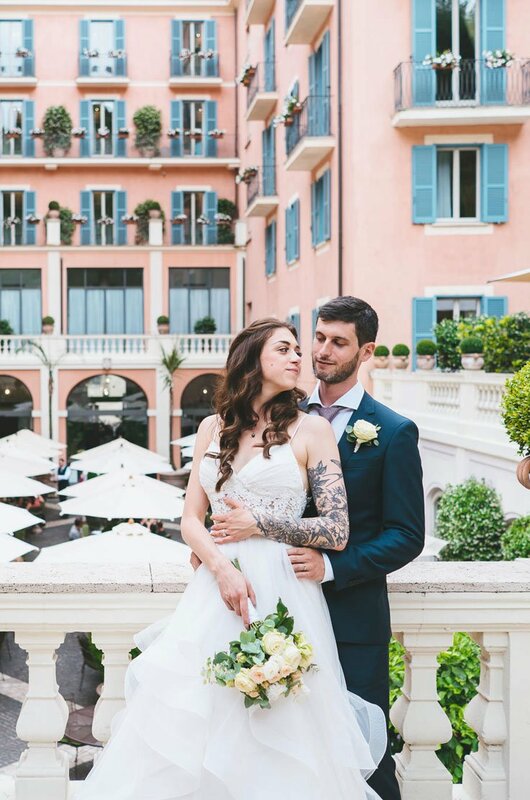 We wanted a small, intimate wedding and as mentioned before, we are huge fans of traveling. That’s why we decided to get married in the most romantic city on earth; Rome. Only close family and friends were there. Still can’t believe that they flew all the way from Montreal for us! 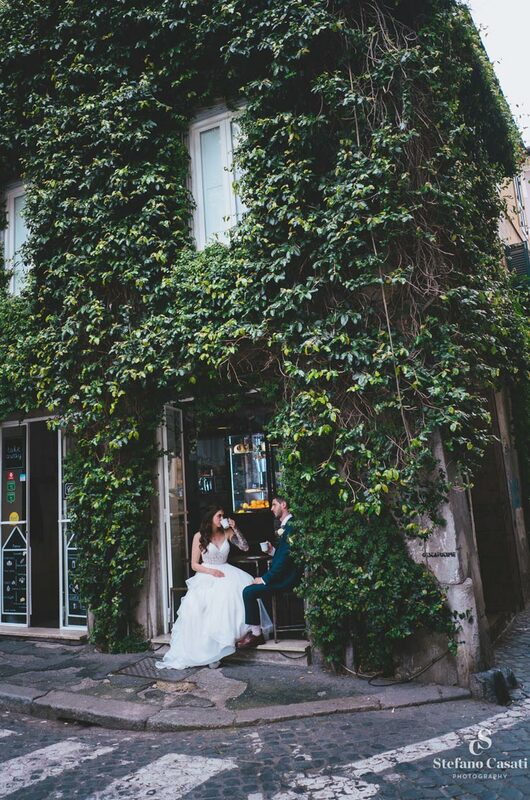 After the ceremony, the photographer took us for a photo-shoot around the city. 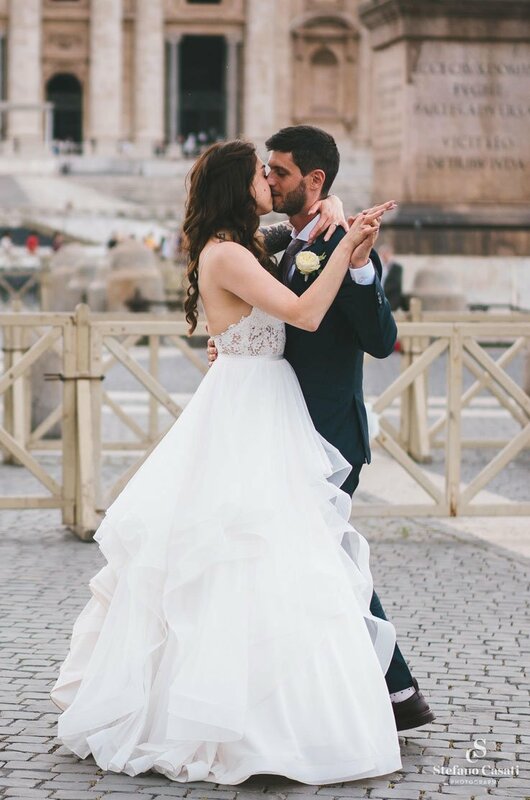 We had our first dance right in front of Vatican City. It was amazing! Honestly, the best day of my life. I would marry him all over again if I could!